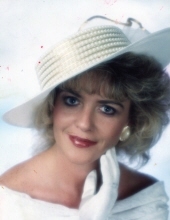 Linda Carol Amburgey King Johnson, age 54, of Leburn, KY, died Saturday, January 26, 2019, at her home in Leburn, KY.
She was born at Medina, OH on August 22, 1964 to James Edwin Amburgey and Betty Lou Nickles. Memorial services for Linda Carol Amburgey King Johnson will be held at the Ivis Bible Church, Monday, February 4, 2019, at 6:00PM with Larry Parke officiating. "Email Address" would like to share the life celebration of Linda Carol Amburgey King Johnson. Click on the "link" to go to share a favorite memory or leave a condolence message for the family.